These results have major implications for any implementation of gene-based testing in future treatment of prostate cancer patients as information from all tumor foci is necessary to draw valid conclusions about the cancer. The paper has already received attention both nationally, with an article in Dagens Medisin (in print October 25th), and internationally, as a Research Highlight in Nature Reviews Urology. This is the second original research paper on prostate cancer in a high-impact journal from members of the Skotheim group recently. In July, Andreas M. Hoff published as shared first author on a study of metastatic castration-resistant prostate cancer in Cell. This study, originating from the Meyerson lab at the Broad Institute, investigated the genomic aberrations of the androgen receptor locus and identified a novel tandem duplication phenotype. 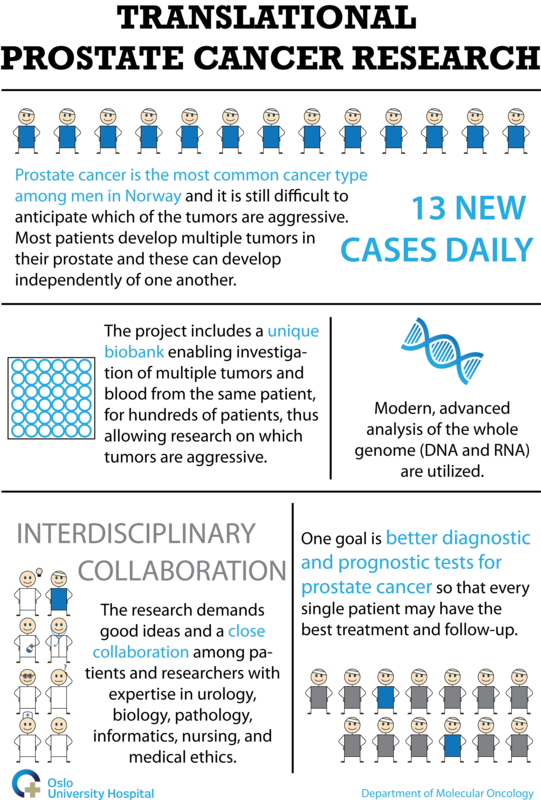 The overall prostate cancer research programme started out as a cross-disciplinary collaboration with innovative biobanking of three to seven fresh frozen biopsies from each prostate at the Oslo University Hospital-Radiumhospitalet, where Ragnhild Lothe, Karol Axcrona and Kathrine Lie were key players. 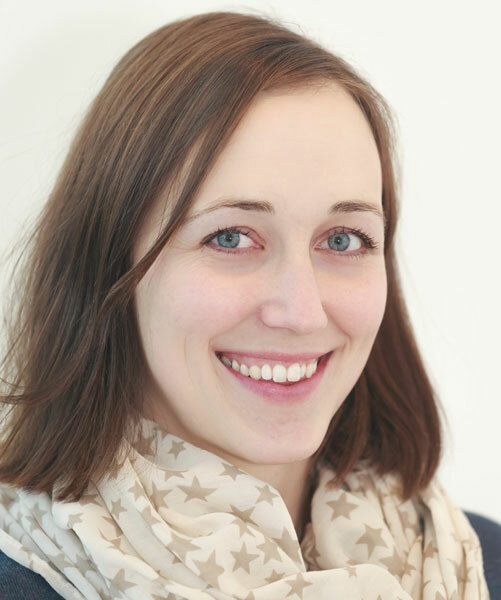 The project has been financed by the Norwegian Cancer Society, Health-Region South-East, and the Research Council of Norway through both a FRIPRO grant and the Norwegian Cancer Genomics Consortium. Multifocal Primary Prostate Cancer Exhibits High Degree of Genomic Heterogeneity. Løvf M, Zhao S, Axcrona U, Johannessen B, Bakken AC, Carm KT, Hoff AM, Myklebost O, Meza-Zepeda LA, Lie AK, Axcrona K, Lothe RA, Skotheim RI. Nat Rev Urol. 2018 Sep 17. doi: 10.1038/s41585-018-0098-6. Viswanathan SR, Ha G, Hoff AM, Wala JA, Carrot-Zhang J, Whelan CW, Haradhvala NJ, Freeman SS, Reed SC, Rhoades J, Polak P, Cipicchio M, Wankowicz SA, Wong A, Kamath T, Zhang Z, Gydush GJ, Rotem D; PCF/SU2C International Prostate Cancer Dream Team, Love JC, Getz G, Gabriel S, Zhang CZ, Dehm SM, Nelson PS, Van Allen EM, Choudhury AD, Adalsteinsson VA, Beroukhim R, Taplin ME, Meyerson M.
Cell. 2018 Jul 12;174(2):433-447.e19. doi: 10.1016/j.cell.2018.05.036. Epub 2018 Jun 18.